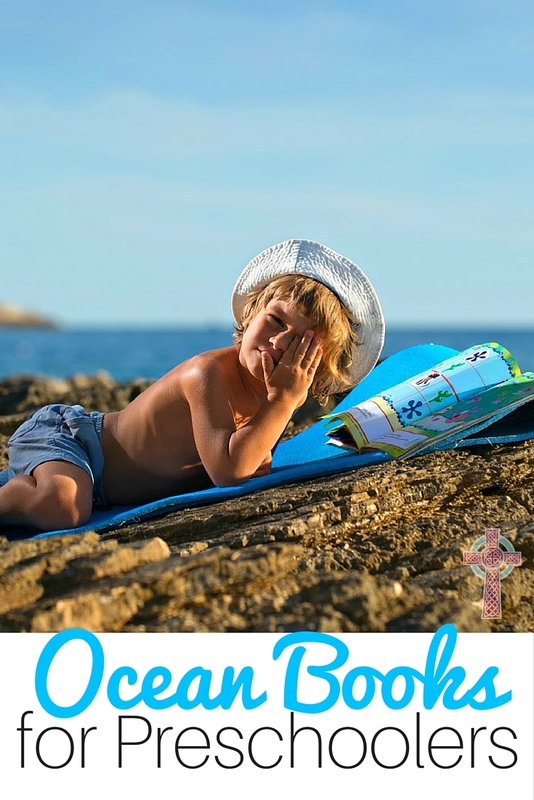 10 Best Summer and Beach Books for Preschoolers - The Kennedy Adventures! We’ve had a long, drawn out winter here in Kentucky. To pass the time until our weather changes for the better, we’ve been reading our favorite beach books for preschoolers. Even our big kids enjoy these treasured picture books! Come take a look at what we love! We usually travel to Daytona Beach every year with my grandmother. While we’re there, we visit the Marine Science Center and their Turtle Rehab Unit. There, they have sea turtles who are sick or have been injured in the wild. The staff care for the turtles until they are healthy enough to return to the sea. To reinforce some turtle learning, we picked up Turtle, Turtle, Watch Out! 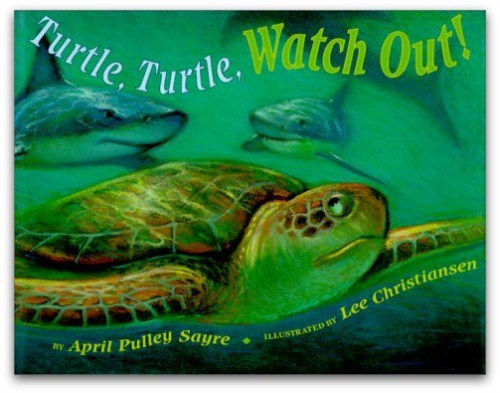 The kids can tell you all about turtle habitats, predators, and more. DLTK-Kids has a sweet turtle craft for preschoolers. Learning about camouflage in nature is so much fun! 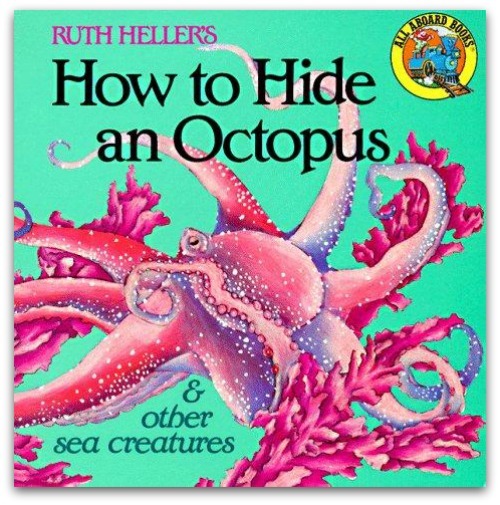 This book takes a look at how an octopus can hide itself in its surroundings. My kids also try to find a pipefish, crabs, and sea dragons. I love this octopus craft from Making Learning Fun. Print it out, then encourage your children to fill in the dots with tiny stickers or Do a Dot Markers. Yay for fine motor fun! 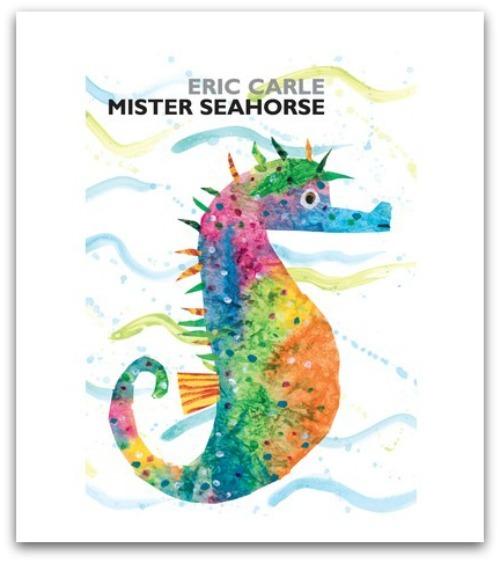 This is one of my very favorite books from Eric Carle. My children loved learning about the different ways that sea animal fathers care for their babies. You can use this seahorse template along with watercolor paints to create your very own seahorse craft. Don’t miss A House for Hermit Crab for more beach themed fun. 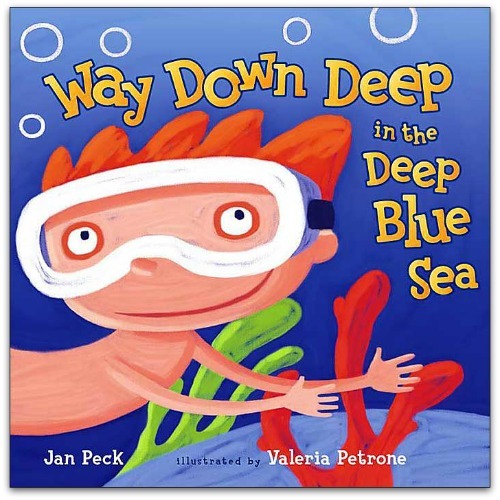 My husband is a scuba diver, so he loves to read this book to the kids. A little boy dives for treasure for his mother, meeting loads of sea animals along the way. You can print out these sea animal characters, color them with markers and laminate them to act out the story. Get your sand pails and shovels ready! 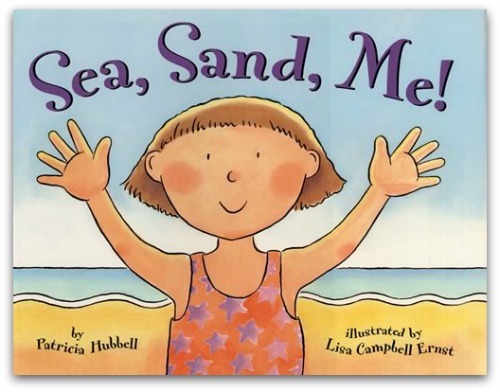 This sweet tale from Patricia Hubbell chronicles a little girl’s day at the beach, complete with exploring, sand castles and seaweed. I love Little Golden Books. They remind me of being a kid. 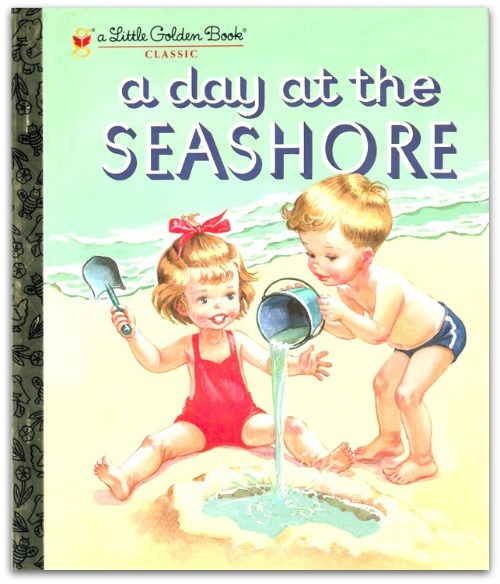 This story follows a family’s day at the beach – I could look at the timeless illustrations all day long! When you’re finished reading, set up the baby pool for more summer fun! Need to work on counting skills with your little ones? Let’s do it up, ocean style! If you can pull yourself away from the polymer clay creations that grace the pages, you can encourage your children to count the pufferfish, gruntfish and seahorses they find. 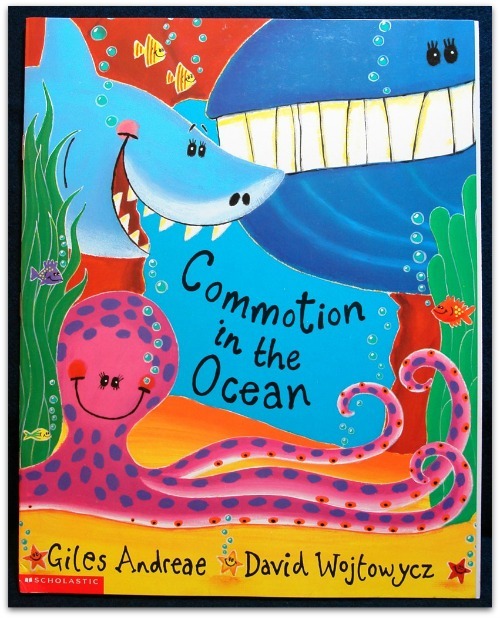 Need a book to anchor your ocean unit? Don’t miss this classic from Giles Andreae. 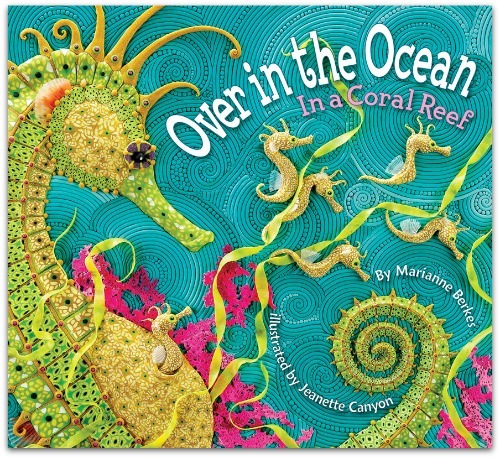 Each page depicts a different ocean animal. We had loads of fun making crafts and recipes while we read this book together. 9. What Lives in a Shell? Discussing animal habitats? Check out this book that covers crustaceans, or animals that live in shells. 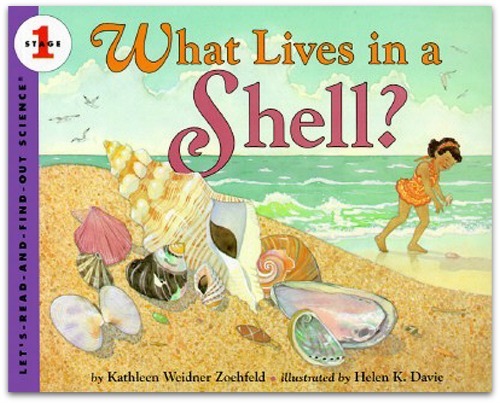 Your kids will learn about how shells are homes, much like our houses. Stop by Homeschool Creations for a Ocean Printables Preschool pack. We read this book each summer before going on vacation. My kids get so excited, thinking about gathering their sand toys, packing snacks and frolicking in the water. Need more ideas? 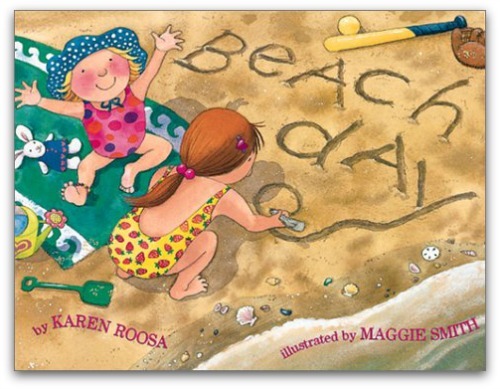 Don’t miss our beach books for toddlers. Did I miss one of your favorite beach or summer books? Be sure to share your ideas in the comment box! I played the video of Commotion in the Ocean this morning, and the kids were mesmerized! They LOVE ocean books. I love it that you are an author,and know more! How cool is that. These all look like fun books and activities. Thanks for the inspiration! Thanks for dropping by, Anna! Hope it was helpful! My son loves sea animals and loved that video you posted of Commotion in the Ocean. We might have to get that book! Great list. My kiddos loved the video as well — they were all watching intently this morning! Thanks for dropping by! Many of these are new to me. I will have to see if our library has them. Great to see you back again! Hope you can find them — let me know! Good to see you, Kerry! My husband is a scuba diver, and he says the octopus is his favorite sea animal. They’re pretty shy,but he’s been able to get up close and even had one following him on a dive! Thanks. These look like fun books to read during the summer months here in sunny South Florida. #1 LOVED that commotion in the ocean book when he was little. I wound up hating it because he made me read it every single day of life. So many fun books! We have read What Lives in a Shell over and over! Oh, love this list!! Have you read I’m the Biggest Thing in the Ocean by Kevin Sherry? Big hit w the preK crowd! Awesome list Dianna! Off to the library soon to get out of the grumps and find some of these reads! Gracias amiga. These are awesome – some great ideas, we love Commotion in the Ocean here in particular. Thanks so much for joining in with the Parenting Pin it Party this week.